Sustainability. That word seems to be at the core of every major business sector these days, ours being at the forefront. To us sustainability means taking care of what we have (trees, plants, perennials, etc.) with the resources around us and using the right plants in the right places in order to reduce water consumption, along with reducing the use of chemicals. All while keeping the design of the landscape in mind. Now of course there is more to sustainability than this, but that is a starting point. A large part of sustainable landscaping is the plant selection. Non-native plants can grow and thrive in non-native conditions, but they could end up costing more in the long run. A native plant is already adapted to local climate conditions and should thrive with minimal effort. Check out our great references on; Native Wildflowers, Native Ferns, Native Shrubs, Trees & Vines, and Native Grasses. Lets consider trees for a moment. Native trees are crucial for the creation of a stable, healthy and productive ecosystem. They provide shelter, food, and homes for many animals. Fruit trees can make a great addition to a landscape as well, providing a sustainable food source for years to come. Ponds are also a great sustainable resource. Consider how much it takes to water a lawn. 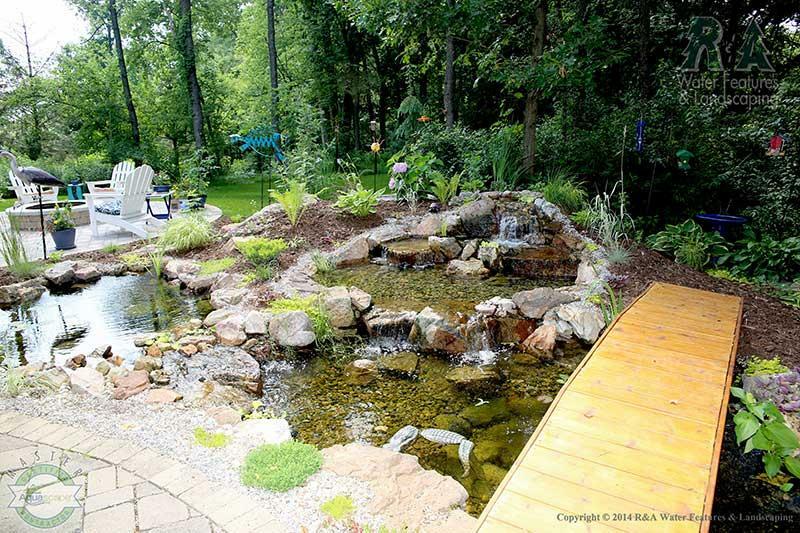 When you replace a small part of your lawn with a pond, you are installing something in that requires less maintenance, less water overall, provides a habitat, and is pleasing to the senses. Lets face it, a lawn can be quite unattractive, and they are simply not a valuable resource for animals because there is no nutritional substance. 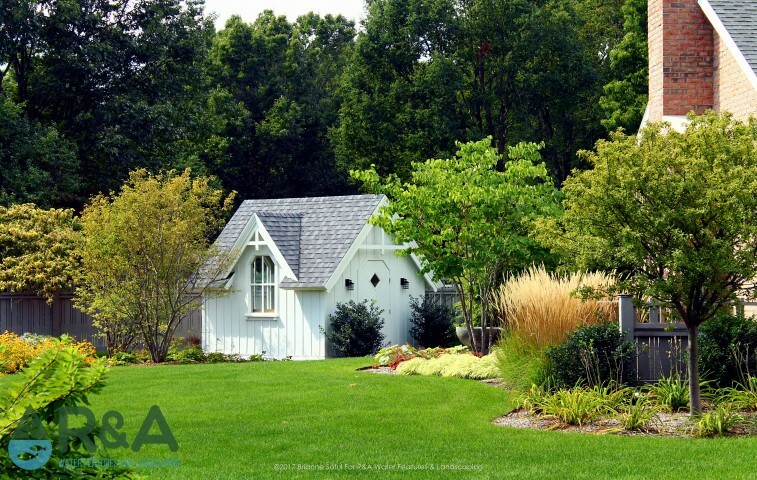 Create a sustainable landscape by adding native plants, fruit bearing trees or shrubs, and even adding a water feature.Be sure to follow us on Pinterest and Facebook for new ideas and inspiration. You can also check out our Houzz page, featuring recent projects and client reviews. Contact us today to get started on your next sustainable outdoor living project!